The 2017 Fall Festival is This Weekend! https://www.bestofbreck.com/wp-content/uploads/2016/10/Friday-October-7-2016.jpg 1500 1500 Meckenzie Donnell https://www.bestofbreck.com/wp-content/uploads/2015/08/logo-332x156.png Meckenzie Donnell2017-10-10 14:49:152017-10-10 15:20:35The 2017 Fall Festival is This Weekend! It got cold and snowed this weekend. The Mountains got a nice “first dump” of the season. Skiing is just weeks away in Summit County and Colorado as Arapahoe Basin and Loveland Basin will once again battle it out for “first opening” bragging rights. This season along with our usual hope and excitement we have for a big powder season there are some new lifts, restaurants, events and this year at least one quite impressive terrain expansion. Read on for a rundown of the 2017 – 2018 ski season’s biggest updates and improvements. Breckenridge is scheduled to open November 10th this year. The big “new” item this 2017-18 ski season is an updated and improved Falcon SuperChair! The chairlift is being upgraded from a quad to a high-speed, six-passenger lift, offering an easier and faster ride up Peak 10. The upgrade is another of the recent capital improvements at the ski area designed to enhance the guest experience at Breckenridge. Also, new this year, Breck’s Ten Mile Station is going “Willy Wonka” this ski and snowboard season, adding a “Candy Cabin” offering an array of your favorite chocolates and sweets. It will be the “sweetest” way to keep your energy up as you shred the slopes at Breckenridge this year! Hands down Arapahoe Basin get the award for best off season improvement this season with the addition of the 1st part of the Beavers and Steep Gullies terrain expansion. A-Basin is currently in multi-year process adding approximately 468 acres of pure insanity just north of the vaunted Pali Face and Alleys. The Beavers and Steep Gullies comprise some of the most impressive single and double black diamond skiing in Summit County and will be open for “hike back” skiing this year. The lifts will be built in the upcoming offseason and will complete the expansion. Don’t wait. This is legendary terrain! Keystone is adding a much-needed upgrade to one if it’s most important front side lifts, the Montezuma Express. The new high-speed, six-passenger Montezuma Express Lift, will increase efficiency and capacity to popular beginner and intermediate terrain by up to 25 percent. The Montezuma is basically the main lift and this will greatly improve wait times. Renovation and expansion of Labonte’s Smokehouse BBQ, including a new, 190-seat indoor facility. Located at the bottom of where the backside of Dercum Mountain and North Peaks meet, this will convert the BBQ into a true restaurant style foodservice establishment. New this year at Copper a new chairlift will debut in Copper Mountain’s West Village on Dec. 15. The Kokomo Express lift has replaced Kokomo lift, and will provide ease of access to an abundance of beginner trails on the side of the mountain with the easiest terrain. Unlike the old lift, skiers and riders will board Kokomo Express from within the base area of West Village, providing convenient access right out of the West Village Day Lodge. At the top, guests will be greeted with a brand new lodge hut, Koko’s. The 2,500 square foot building provides seating for 200, restroom facilities, and grab-and-go comfort food, all complemented with a large outdoor deck and sweeping panoramas of Copper Mountain and Ten Mile Range. 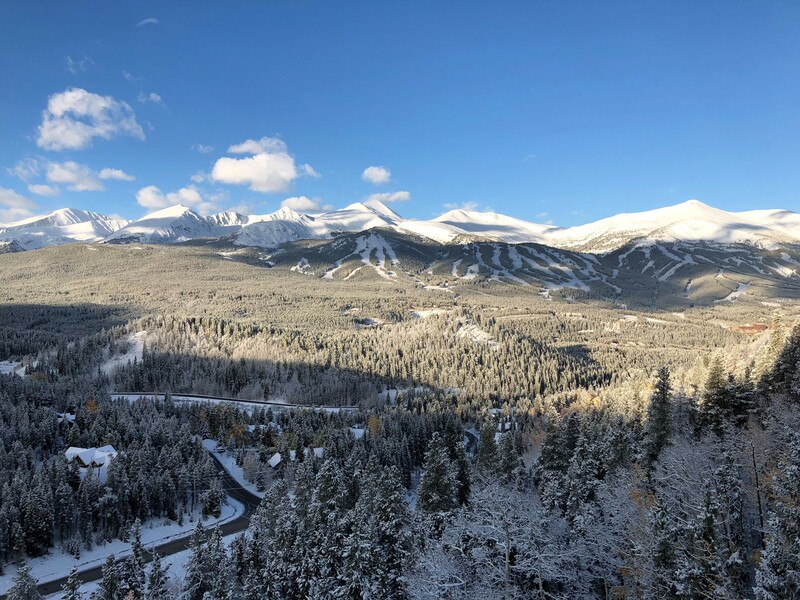 So, with snow falling in the Rocky Mountains and more on the way now is the time to start planning your 2017 – 2018 ski adventures and to come and see for yourselves what has changed in Breckenridge and Summit County since the last time you visited. For the best deals on Lodging in Breckenridge anywhere visit www.breckenridgedisoucntlodging.com!